Police hunting the man who dragged a female driver into an alleyway in Selsey hope he could be identified by the injury his victim gave him. The victim managed to escape by kicking her attacker in the groin, police said, and they now want to hear from partners of men who complained about sustaining an injury. 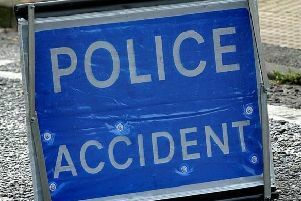 At around 8.30pm on Wednesday, July 22, a 21-year-old woman was driving in Fontwell Road in the town when a man waved to her and signalled for her to stop, police said. He told her there appeared to be a problem with her car but when she got out to check her vehicle the man grabbed her and dragged her into an alleyway that runs between Fontwell Road and Gillway. According to police the victim was able to kick the man in the groin and got back into her car to escape. The attacker fled down the alleyway towards Gillway. Police have described him as white and wearing a cap and tracksuit bottoms. Officers are keen to speak to people who were in the area between 8.25pm and 8.40pm on Wednesday who saw or heard anything suspicious. They are also appealing for partners of men who returned home after 8.30pm who appeared in pain or discomfort or to anyone who knows men who have complained about suffering a groin injury on Wednesday evening. Detective Inspector Dave Springett said: “We’ve had a very positive response from the public but as yet we have not yet identified the man who attacked the woman. “We’re still appealing for anyone who has not yet contacted us to come forward and tell us what they know in confidence. “We would specifically like to speak to anyone who was in the area at the time and saw or followed a small white Toyota hatchback vehicle in or near Fontwell Road as this may assist the investigation. “This is a very rare offence but extra officers are continuing to patrol the area to offer reassurance to residents. “If you have any information you can always give it to officers on the street, phone us or send it by email. Anyone with information should call 101 quoting serial 1651 of 22/07, email 101@sussex.pnn.police.uk or call the independent charity Crimestoppers anonymously on 0800 555111.